Getting Hitched? Register for Experiences NOT Things! Planning a wedding and putting together your wedding registry? If you’re like me, you much prefer experiences to things. And to some, the idea of getting a toaster and silverware doesn’t sound nearly as exciting as an exotic getaway. 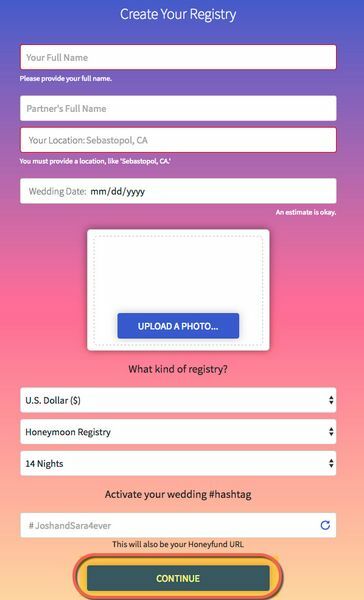 Luckily, there are online wedding registries, like Honeyfund, that allow you to register for help paying for your honeymoon. 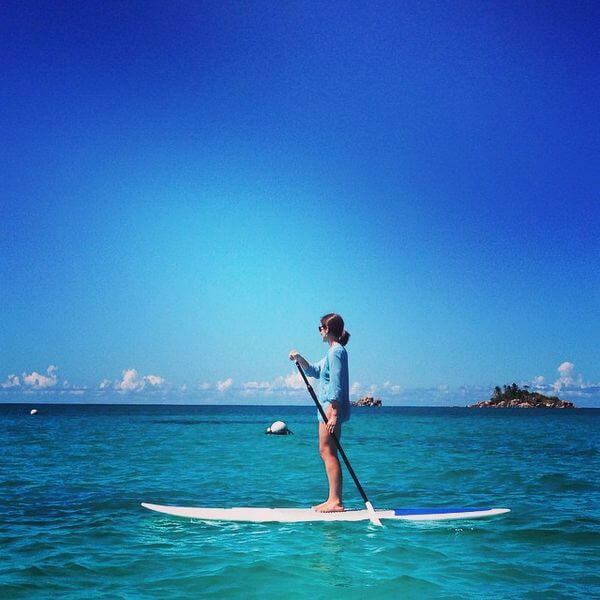 So you can take that once-in-a-lifetime trip after you’re hitched! Million Mile Secrets Team Member Meghan Honeymooned in the Seychelles With the Help of a Honeymoon Registry and Miles & Points! I’ll show you how to create a Honeyfund wedding registry. And give you a few ideas about how to earn and use miles & points when planning a wedding and honeymoon! There are many wedding registries that allow folks to ask for experiences, not things, as wedding presents. One of the most popular is Honeyfund. It’s easy to set up a registry to help fund your honeymoon, instead of registering a set of hand towels. You can even ask for help with a down payment on a house or a home remodel project. 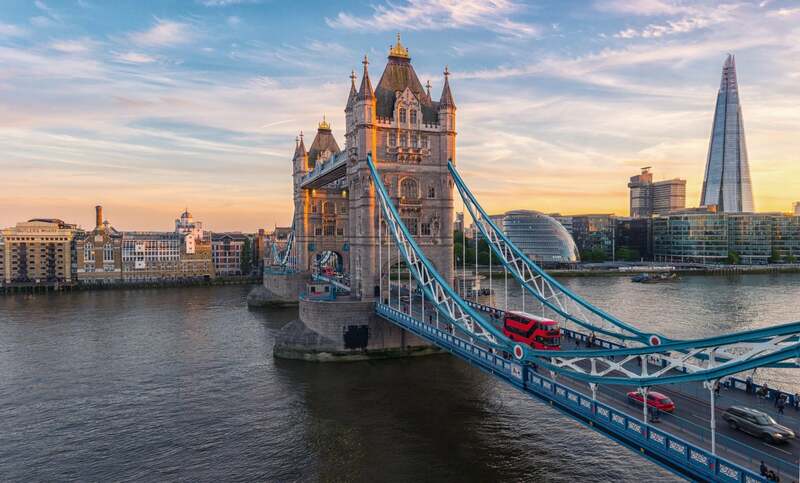 For example, if you’re planning a honeymoon to Europe, you could ask guests to give you money towards experiences like a sightseeing tour, a fancy dinner, museum entrance fees, or spa treatments. Setting up a Honeyfund registry is simple. From Honeyfund’s homepage, click the “Sign Up!” button. 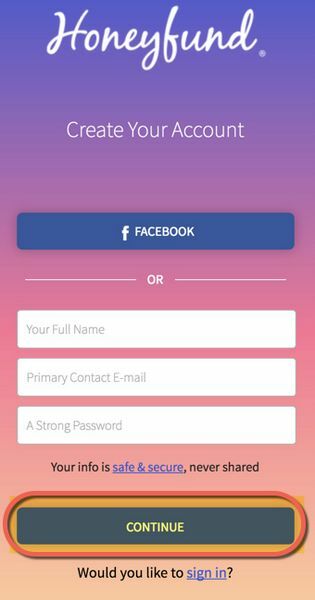 You can sign-up automatically with your Facebook account, or enter your name, email, and a password. Then you’ll be on your way to creating your registry! You’ll have to enter details like your wedding location, date, and a little information about your honeymoon. 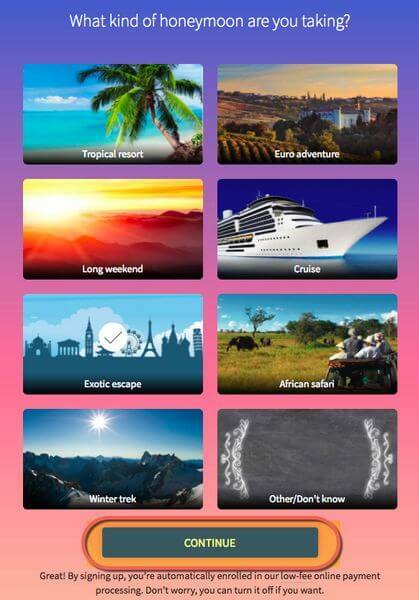 Then choose the type of honeymoon you’ll be taking. This will help Honeyfund make suggestions for your registry. For example, if you’re taking an African safari, you wouldn’t register for a beachside couples massage! What’s Your Dream Honeymoon Destination? 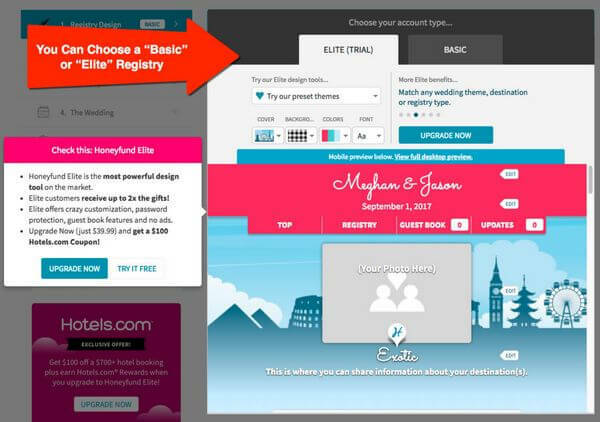 You’ll also be able to choose between a “Basic” or “Elite” registry website. The basic version is free and an “Elite” registry costs ~$40. That said, with an Elite version, you won’t have any ads on your page, and you’ll have the ability to customize your registry. So it could be worth it for some. Then you can start adding to your registry! You Can Even Add Your Engagement Photos for Guests to Peruse to Your Honeyfund Registry! 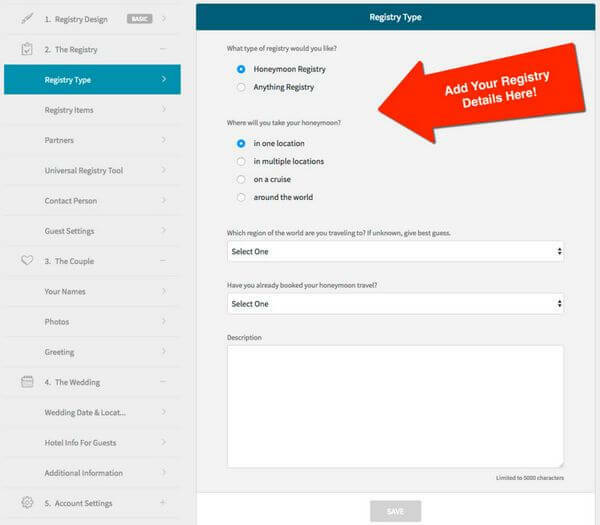 Take a Look at This Sample Honeyfund Registry. This Trip Sounds Amazing! That said, lots of folks prefer traditional wedding registries. So do what feels right for you! How Much Does Honeyfund Cost? The “basic” registry is free. Or you can pay ~$40 for an “Elite” page if you want the ability to customize your registry and have a page without ads. As for sending gifts, if your guests send gifts via cash or check, there’s no fee. But if they use a credit card to buy a registry item, you (the couple, NOT the gift giver) will pay ~3% + $0.30 cents per transaction. Fees for payments form outside the US vary by country. Through Honeyfund, you can even donate a portion of the money you receive to charity! Million Mile Secrets team member Meghan used Zankyou for her wedding registry. Because Zankyou charges a lower transaction fee than the other registries she researched. Each registry site is set-up a little differently and the fees vary slightly between sites. So it’s worth checking each one out before making a decision! Weddings & Honeymoons Can Lead to Miles & Points! According to The Knot, the average cost of a wedding in the US is ~$31,000 (WOW!). The good news is, you can earn miles & points for lots of wedding expenses. Or use those expenses to help meet the minimum spending requirements on a new credit card. And earn Big Travel in the process! For example, let’s say your wedding is at a hotel, and the hotel is providing the food and beverages. You could use a card that earns bonus points for travel purchases, like the Chase Sapphire Preferred Card, to earn even more points for the cost of the venue, food, and drinks! Regardless of how much you’re actually spending on your big day, it’s worth taking a look at your budget and figuring out how to make the most of the money you’re planning to spend anyway. Because many of the best travel rewards cards come with great sign-up bonuses and minimum spending requirements between $3,000 and $5,000. For example, if you have wedding expenses coming up soon, you could apply for AMEX Starwood personal or small business card, and earn Starwood points to use for hotel stays or airline tickets during your honeymoon. Through April 5, 2017, both cards are offering an amazing 35,000 Starwood point sign-up bonus after meeting tiered minimum spending requirements. 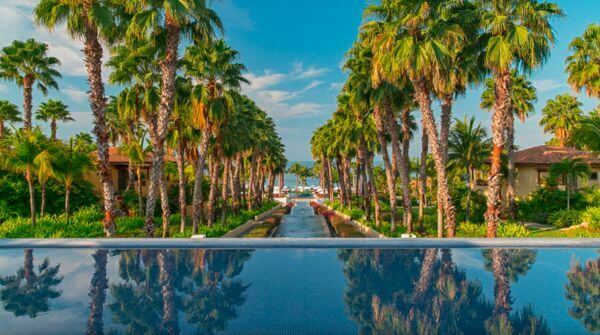 35,000 Starwood Points Is Enough for a Free Night at the Luxurious St. Regis Punta Mita Resort. 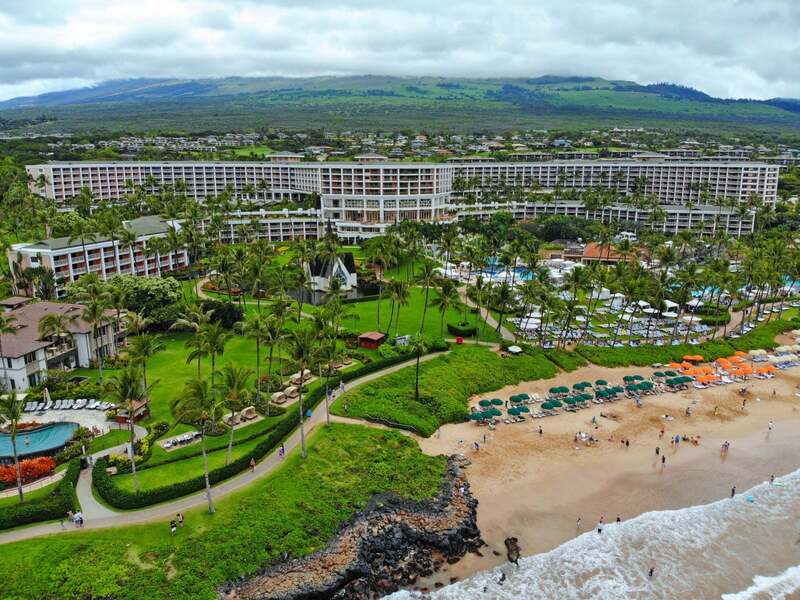 Or Any Other Category 7 Hotel – Starwood’s Highest Category! Or you could apply for other cards that earn flexible points, like the Business Platinum® Card from American Express, Barclaycard Arrival Plus World Elite Mastercard, or Chase Ink Business Preferred. These cards make it easy to earn Big Travel for wedding expenses. You can read more about why I love flexible points here! And if you need more inspiration, check out how Million Mile Secrets team member Keith used miles & points to take an around-the-world honeymoon for a fraction of the actual cost. 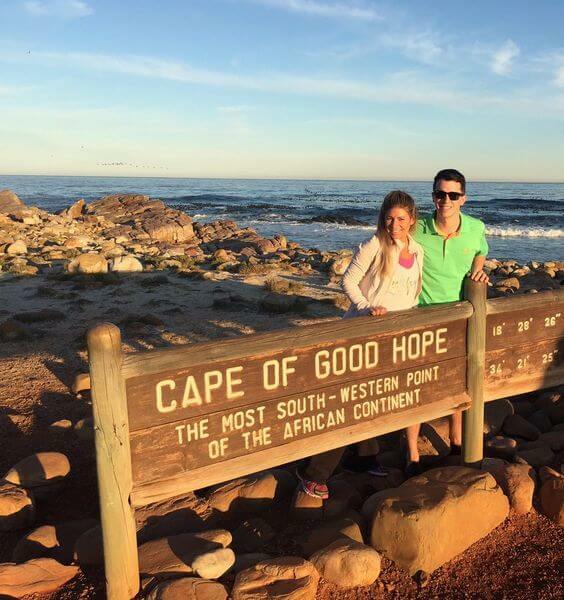 Or how blog readers Jessica and Devin, and Cody and his wife, used miles and points for unbelievable honeymoon trips. Wedding registries like Honeyfund allow couples to register for experiences, not things. For example, instead of asking your aunt for a kitchen mixer as a wedding gift, you can ask her for tickets to see the Opera in Paris! Setting up a Honeyfund registry is easy. That said, it might not make sense for folks who are more traditional. So do what feels right for you and your fiancé! You can make the most of your wedding expenses by using a credit card that earns miles & points to pay for those expenses. Especially if you’re working towards meeting minimum spending requirements on a new card! Because big credit card sign-up bonuses are the quickest way to Big Travel with Small Money. Did you use a honeymoon registry when you got married? Or do you plan on signing-up for one? I know times have changed but it doesn’t sit well with me asking people for money for a luxury trip. Some would consider it to be in bad taste to use a crowd funding type of a website. A registry is supposed to be a way to help couples with items that they need to start their new life together. Not a honeymoon or a house payment. I might be ok with letting our parents chip in for a trip or a down payment on a house, but not anyone else. If you want more money for the honeymoon, spend less on the wedding. There are ways to have a memorable wedding without spending $30K. That’s just my opinion. I agree, there are plenty of ways to have a fantastic wedding without spending lots of money. And if you’re more traditional, this isn’t going to work for you. To each his or her own! I will keep this in mind just in case I ever decide to ruin my life with marriage! What a great idea! I wish this was around when I got married.